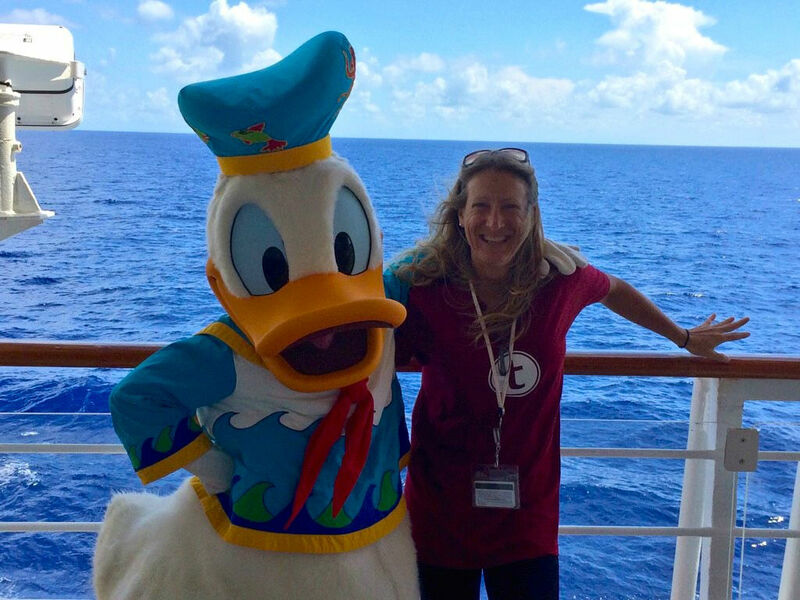 Donald Duck on the DCL Wonder. We knew that there were going to be characters on board the Disney ships that you could meet, but we were not prepared for how many. There were the Fab 5 of Mickey, Minnie, Donald, Goofy, and Pluto. The ubiquitous Chip and Dale. Daisy Duck. Frozen‘s Anna and Elsa. Disney Jr. characters such as Sofia the First and Jake. Disney princesses including Ariel, Tiana, Rapunzel, Snow White, Aurora, Belle, and Cinderella. Lastly, there were miscellaneous characters such as Peter Pan, Captain Hook, and Stitch. These were just the ones that I personally saw throughout the cruise, as we never looked to see where the characters would be, or at what time, which leads me to believe that there are even more that I didn’t see. Not only did we see a ton of characters, many of them also wore different outfits throughout the cruise, allowing for several different photo opportunities. The main characters, such as Donald, had their DCL outfits, formal attire, Castaway Cay beach wear, and because we were on a cruise that celebrated Halloween, they also had their costumes. We even saw Sorcerer Mickey roaming the hallways. 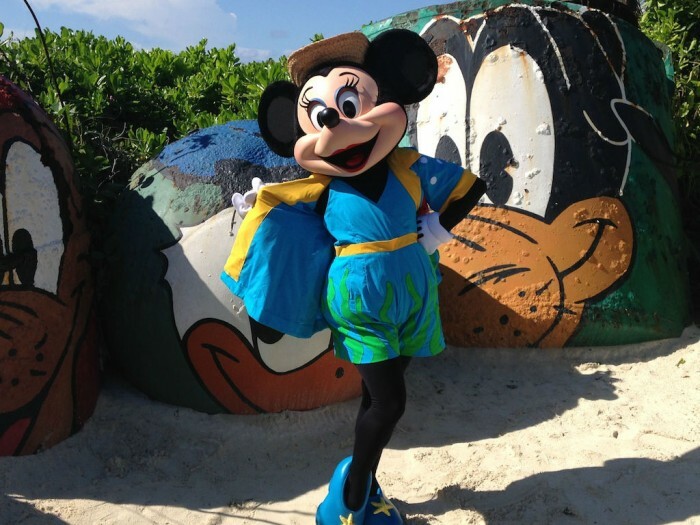 Minnie Mouse being a diva on Castaway Cay. 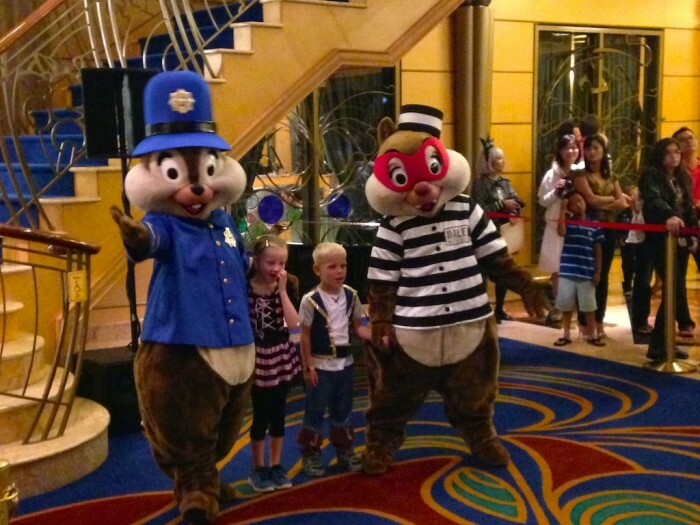 Chip and Dale meeting guests on the DCL Wonder in their halloween outfits. One of the biggest surprises of the entire vacation was seeing something that took me back to my childhood visiting Walt Disney World. At several points of the cruise we would be out on the decks and would experience a character walking around and interacting with guests. The Sunday of our cruise was the day that we were having the #Everywhere shuffleboard meet on Deck 4. While we were playing, unprompted, Donald Duck waddled by and joined in the fun. It was a hilarious experience, as after a bad shot Donald threw down the shuffleboard stick while jumping up and down in anger. Later I watched Donald walk further down the deck, meet a young boy, and the two pulled up chase lounge chairs to look out at the ocean together. This was a moment that not only will the child and his parents remember forever, but it is something that will stick with me, and anyone else who saw it, for a long time. This was true Disney magic, and I don’t use that term lightly. 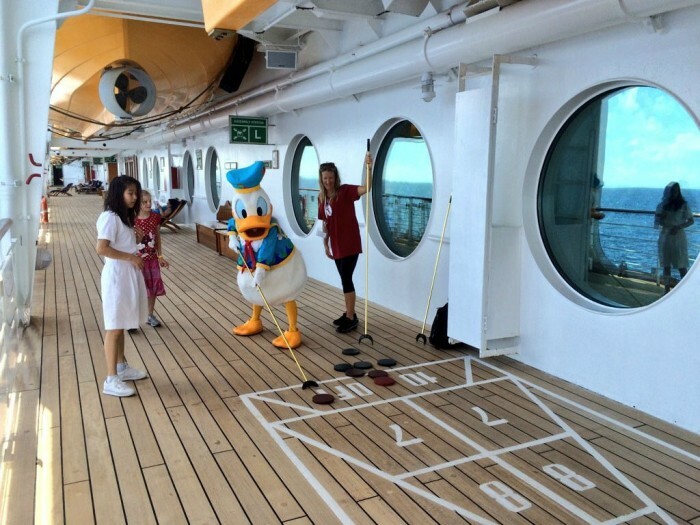 Donald Duck playing shuffleboard during the TouringPlans #Everywhere meet. 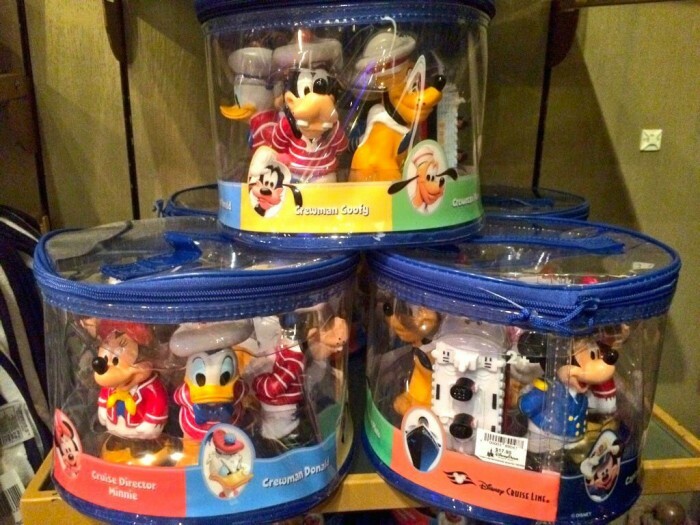 While I knew there would be characters on the ship, what I wasn’t expecting was the amount of incredible Disney Cruise Line merchandise (I even wrote an article covering it, which you can read by clicking here.) As a person who is obsessed with theme park merchandise at the stores and resorts, I can say with all honesty that the gift shops on the Disney Wonder had the highest percentage of high quality, unique items, than any Disney related store I have ever been in. I love the World of Disney at Downtown Disney, and it has a lot of shirts, but most of them aren’t all that good. The Wonder’s gift shops had at least 25 shirts I considered buying. There was a great Disney Wonder chocolate bar that made me wonder why there isn’t something equivalent at Art of Animation or Port Orleans – French Quarter (the latter of which did not have a single piece of resort specific merchandise when I visited last month – not one). Castaway Cay also had a whole bunch of fantastic items you could only buy on the island. If you are a Disney collector or even just a Disney fan who enjoys good Disney merchandise that you can proudly wear or display, you need to check out a Disney Cruise. 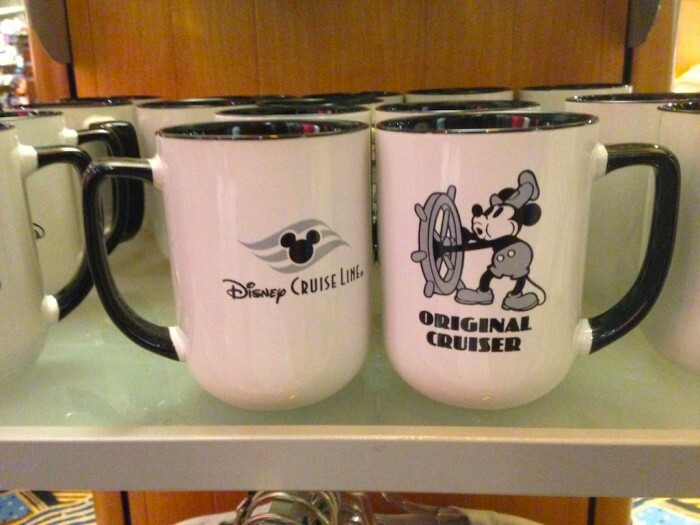 Steamboat Willie-inspired DCL coffee mug. Replicas of the four Disney Cruise Line ship’s lobby statues. There’s a lot to be said – both good and bad – about pirate night, a staple on all the Disney Ships, but one of the biggest features of the entire night is the deck party followed by fireworks. During this deck party I was thinking at the time that it would definitely be going down as the biggest disappointment of the cruise. We had a late dinner seating (8:15PM), so we rushed through our meal in order to get to the deck around 9:15PM and be ahead of the crowds. I had heard a lot of positive feedback about pirate night so I didn’t want to miss anything. The on-deck show was just plain bad, even by Disney castle-stage-show standards. Nothing original. Nothing funny. Just some people dancing on a stage and making occasional pirate puns. Business doesn’t even pick up when Capt. Hook and Mr. Smee get involved, as they just join in on the dancing. This pirate show was going to go down as one of the all time awful Disney shows when all of a sudden at the end the lights went down and a spotlight appeared on one of the large “smokestacks,” revealing Mickey Mouse. 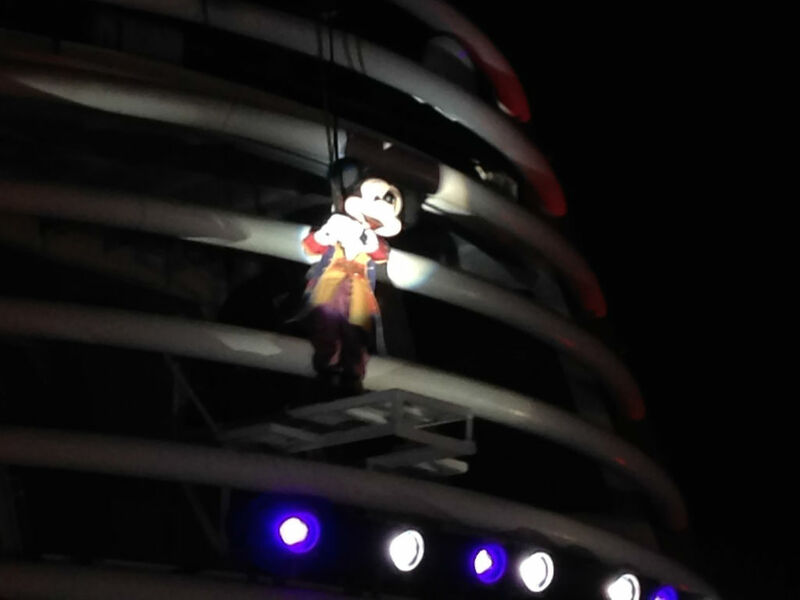 Announcing he was here to save the party, Mickey then zip lined across the ship as Bonnie Tyler’s I Need a Hero began playing. This led immediately into the fireworks as the music continued throughout. I can’t even put into words how amazing it was. The fireworks themselves aren’t going to make you forget Happy HalloWishes, but you are on a boat watching them, and in way it makes them even more spectacular. The degree of difficulty adds major style points and, for those of certain age, it was like seeing Spud Webb dunk. The music worked perfectly, and the crowd went bananas for Mickey. In five minutes this pirate show went from one of the worst things I have seen at Disney to one of the best. The moment was that good. Mickey Mouse preparing to zip line across the Disney Wonder. 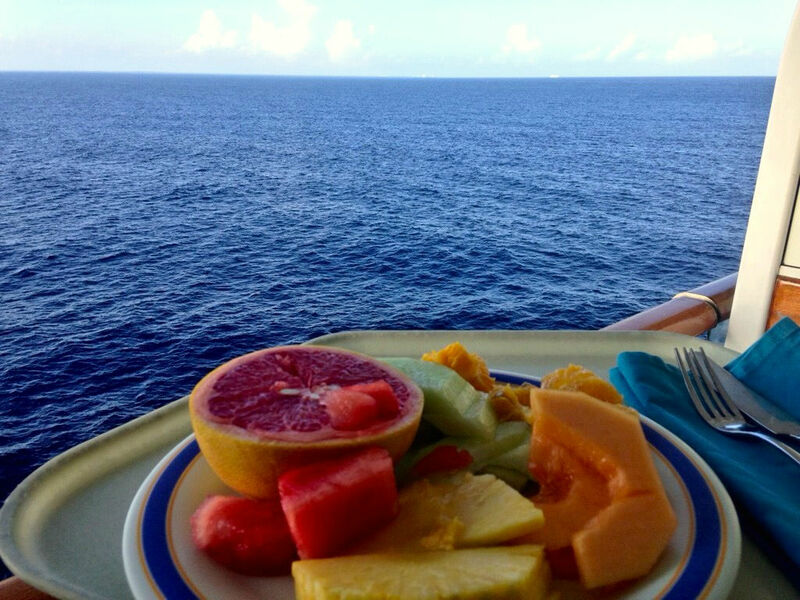 One of the best parts of any cruise is the food. It’s pretty much unlimited and, thanks to room service, runs 24 hours with almost all of it at absolutely no cost. 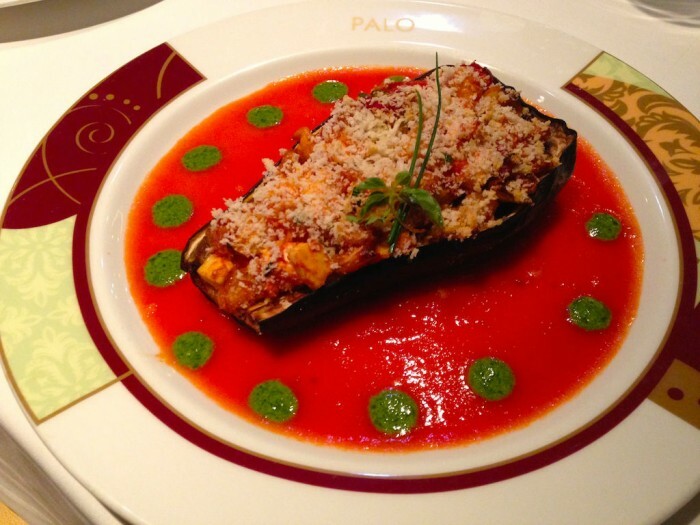 My girlfriend is a vegan, and while Disney is usually incredible when it comes to dietary restrictions I would say her overall dining experience was “good,” whereas mine bordered on “very good” to “great.” One of the highlights for both of us was a dinner at Palo, the Wonder’s upscale restaurant. At several points during the cruise we had interactions with dining staff who somehow had no idea what a vegan was, whereas Palo made it seem like they had researched for weeks ahead of time to make sure they had dishes for her. A highlight for me was finally being able to dine at Animator’s Palate, even though I didn’t actually get to experience the “show” of the restaurant turning from black and white to color over the course of meal, despite having three scheduled meals there. Long story. I was actually pretty upset at finding that fact out on the last night of my trip, but it still doesn’t take away from how wonderful the decor of the restaurant is, with all the various Disney animated characters throughout. Here’s a shocker, I could make the case that Pinocchio’s Pizza on Deck 9 has the third best pizza on Disney property outside of Via Napoli and Splitsville (to be fair, I have yet to eat at the Wolfgang Puck restaurants at Downtown Disney.) Another surprise? Pluto’s Dog House, another quick service option on Deck 9 featuring items such as chicken fingers, veggie burgers, and hot dogs. 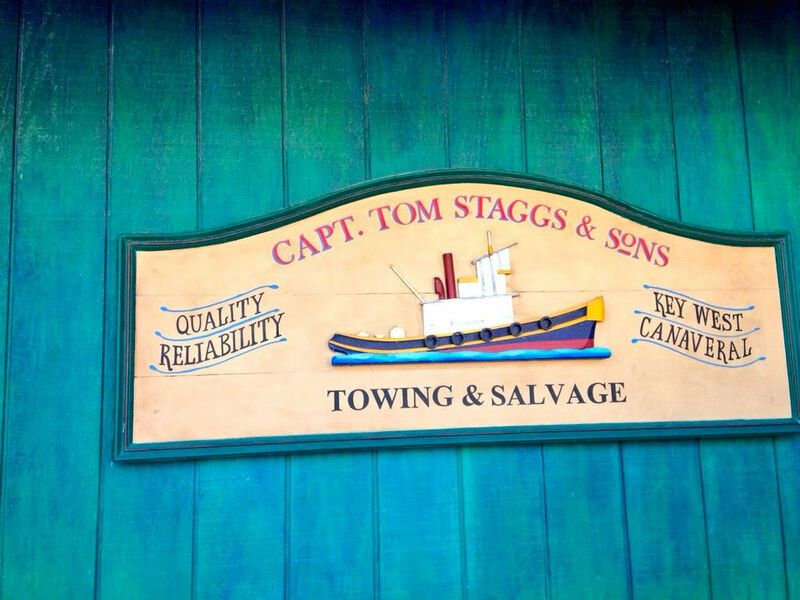 They always delivered a good meal and had a great fixins bar nearby to boot! The breakfast at Beach Blanket Buffet was exceptional, with a ton of great buffet items including Mickey waffles. The restaurant is located at the aft of the ship and has a lot of seating outside, so we would find ourselves enjoying breakfast while being able to look out into the ocean. We would also bring meals back to our room and eat on the verandah. The only downside is that Beach Blanket Buffet becomes a table service restaurant for dinner service, and offers a menu of one of the three main dining rooms (Triton’s, Parrot Cay, and Animator’s Palate.) On one particular evening of the cruise we were scheduled to eat at Triton’s ,and I wasn’t a fan of that night’s menu. So, we went up to Beach Blanket Buffet only to find out they were also serving Triton’s menu. We ended up going back to Triton’s as the dining staff was regularly making my girlfriend customized vegan meals, while I just had room service later. Don’t cry for me Argentina, as the room service meal was terrific (including the only steak fries you can get on the ship and a Mickey bar!) I do have to give a pat on the back to our rotational dining team of server Keniesha and assistant server Andres. These two were beyond exceptional, and gave a level of service that was above and beyond. Breakfast at Beach Blanket Buffet brought back to enjoy in room. 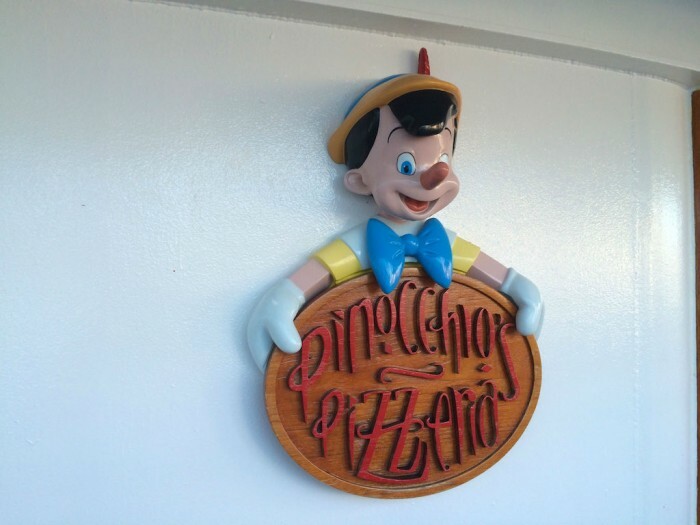 PInocchio’s Pizza on the Disney wonder > Boardwalk Pizza Window, Pizza Planet, Disney Quick Service pizza, etc. There were live shows every single night in the Walt Disney Theater, but three of them are worth noting as they were produced by Disney. In order of what I found to be good, very good, and great: The Golden Mickeys, Toy Story: The Musical, and Disney Dreams – An Enchanted Classic. I don’t want to give too much of these shows away because one of the things I enjoyed about them was that I knew almost nothing going in and got to watch them play out. The Golden Mickeys is almost a surreal experience. It started off with live “red carpet” bit, similar to the Oscars, as they were actually interviewing kids coming into the theater. Each child was asked who they were looking forward to seeing in the show and every single one said Mickey Mouse. That I wasn’t expecting. The show itself was an “awards show” with categories that were almost non-sensical, but you do get to see classic Disney characters and a lot of great music. 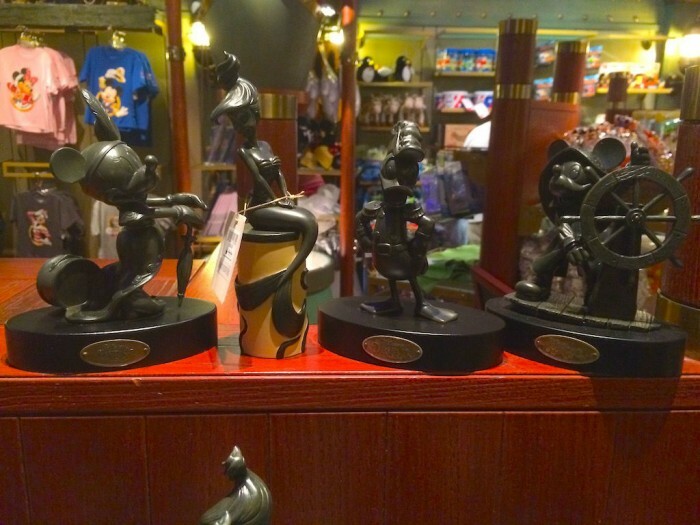 In a nice touch, they even sell Golden Mickey statues in the ship’s gift shop. Toy Story: The Musical started off slow, but I really enjoyed the second half. If I remember my stories right, this stage show was going to start on the Cruise Line and then make its way to the parks, but it never did and I can see why. Kids would be falling asleep in the first act. Say what you will about their quality, but Beauty and the Beast – Live on Stage at DHS and Finding Nemo – The Musical at AK, get guests involved in the action much faster. Toy Story: The Musical just recreates everything from the original Toy Story movie, and once Woody and Buzz get out of Andy’s room it becomes a very entertaining show. The highlight by far was Disney Dreams – An Enchanted Classic. This was pretty spectacular with some very creative stage work mixed in with classic Disney characters and songs. It follows Peter Pan, as he tries to convince a young girl to believe in “magic” so that her dreams can come true. Just like when I saw it in the theater many moons ago, the Little Mermaid sequence of Disney Dreams where they sing Under the Sea was another show stopping moment. Great stuff. The Lion King also has a very memorable sequence. TouringPlans rates this show as not to be missed and I agree 100%. An E-Ticket of Disney stage shows. 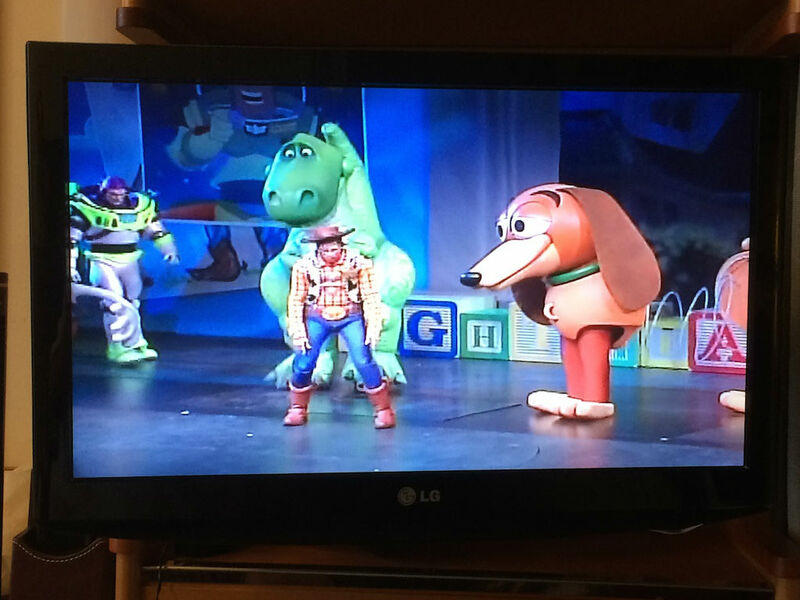 Toy Story: The Musical. If you can’t make it to the theater, all the Walt Disney Theater shows play on the stateroom TVs. Everything about Castaway Cay is great and it exceeded all expectations. We signed up for the runDisney Castaway Cay 5K event and got an early morning look at the island and it is simply beautiful. There are several family beach areas, along with an adults-only beach (Serenity Bay) and I expected them all to be packed with people, but instead we were able to spend time at all three and had no problem finding space. Serenity Bay was a nice surprise as the other beaches all have calm water (which was great for snorkeling,) but Serenity Bay had a lot of waves to throw ourselves against. The gift shops had a ton of unique Castaway Cay merchandise you could only get on the island, and Cookies BBQ had a terrific lunch. The ship even sent over a vegan meal for my girlfriend. There were so many things you could do on the island including biking, snorkeling, jet skis, sailing, and even fishing trips. Everything was immaculate, there were characters available for meet ‘n’ greets, there were a bunch of subtle nods to Disney (such as sign for Capt. 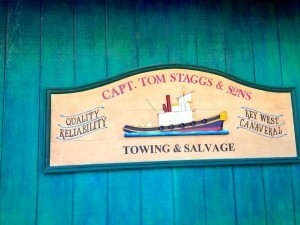 Bob Iger’s Shrimp Distributors) whole nothing seemed obnoxious. 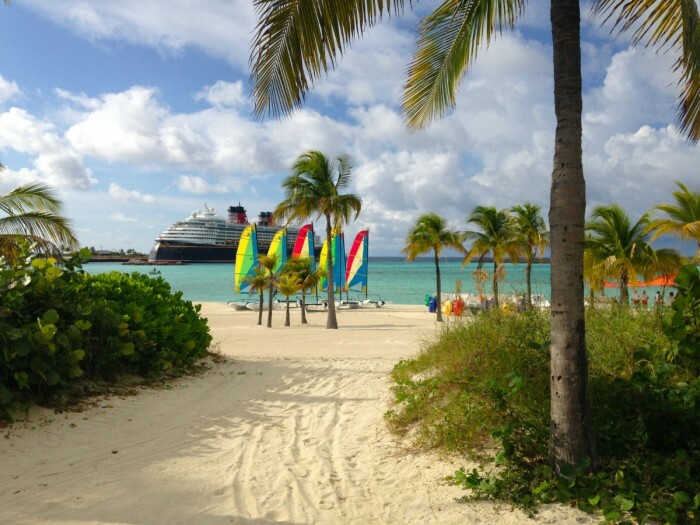 We have gone to many islands over the years including several private ones (such as Royal Caribbean’s Labadee in Haiti) and Castaway Cay is our new favorite. I can not wait to go back! 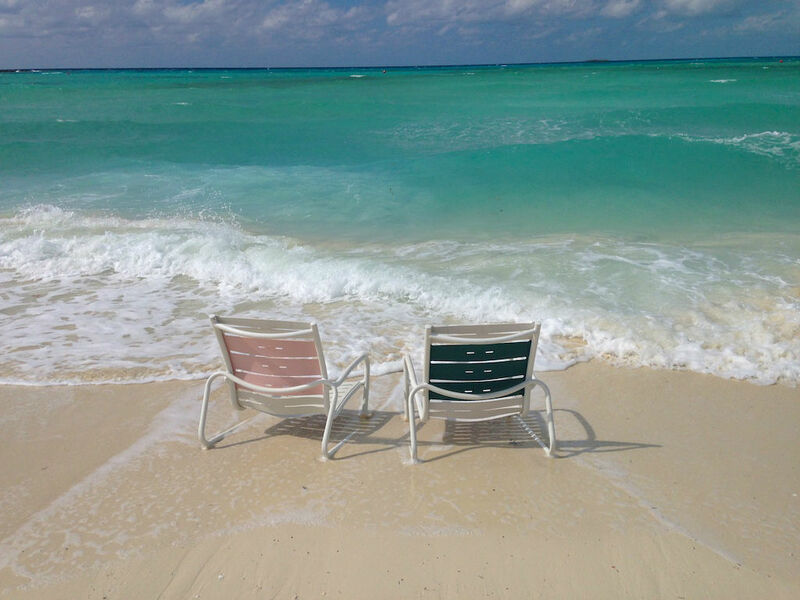 Serenity Bay on Castaway Cay. Honorable Mention – THE TV! Yes, the TV. The stateroom TVs had a shockingly high amount of stations available, including one that gave you the current view from the bow of the Disney Wonder. Besides regular TV and sports channels like ESPN, there were various channels dedicated to everything Disney you can think of. There was a Mickey Mouse cartoons channel. A Pixar channel. A Disney animated movies channel and a Disney live action movie channel. All playing shows continuously with no commercials, and more importantly, no advertisements on the screen whatsoever. It actually took me a whole day to realize what was different about the shows on these TVs and it suddenly hit me. There were no logos in the corners. No scrawls across the bottom. No ads bumping in saying “here’s what’s coming next.” Every channel just played the movie or television show as if you were watching it on DVD and it was so refreshing. My favorite channel was one that just played non-stop Disney documentaries and I would find myself at 2AM watching movies like Waking Sleeping Beauty or a Disney nature documentary. It seems more and more people are “cutting the cord” and giving up their cable subscriptions but if Comcast offered this package to my house they could name their price. How am I supposed to choose between the Fox & the Hound, Meet the Robinsons, the Incredibles, and Pirates of the Caribbean: Curse of the Black Pearl, and Walt & El Grupo, all playing at the same time?! I NEED THIS TV IN MY HOUSE!! 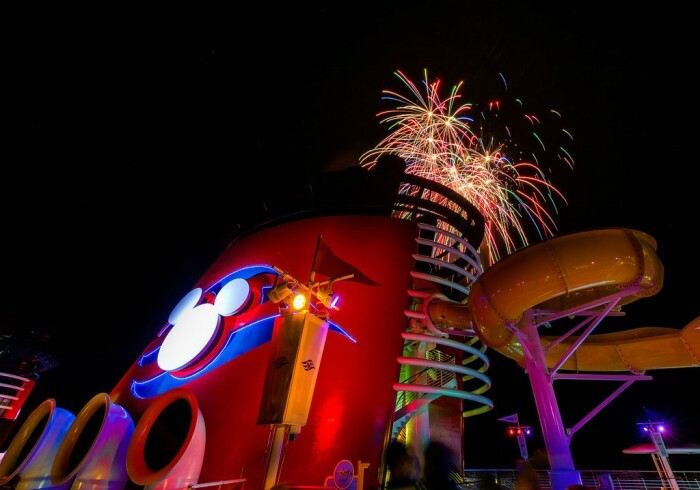 So there you have it: Six Reasons To Go On a Disney Cruise. No offense intended towards any survivors of the Titanic, but this is literally the tip of the iceberg for why you need to go on a Disney Cruise. 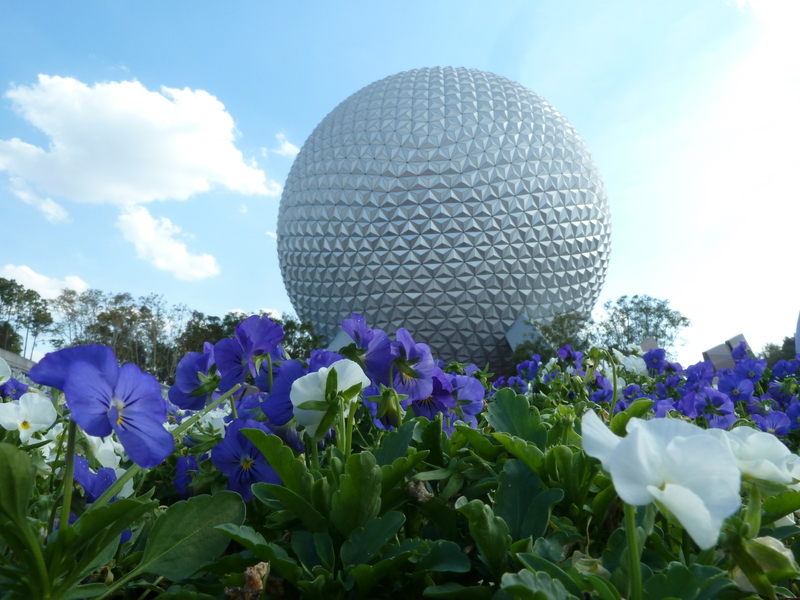 If you can say to yourself that you love Disney, you owe it to yourself to experience it at least once. Trust me, it will be worth it. Oh you really love Disney? You should already be on the phone with your travel agent as there were character models for The Happiest Millionaire on the walls near my stateroom. THE HAPPIEST MILLIONAIRE! See you next weekend for the latest edition of the SATURDAY SIX, where we are going to head over to Universal Studio Florida for a special First Timer’s Survival Guide to Halloween Horror Nights. If you had fun, be sure to check out The Magic, The Memories, and Merch! articles, or, for your listening pleasure, check out the Pardon the Pixie Dust podcast. Special thanks to crack staff photographer Brandon Glover and Tom Bricker for their invaluable assistance with this article. 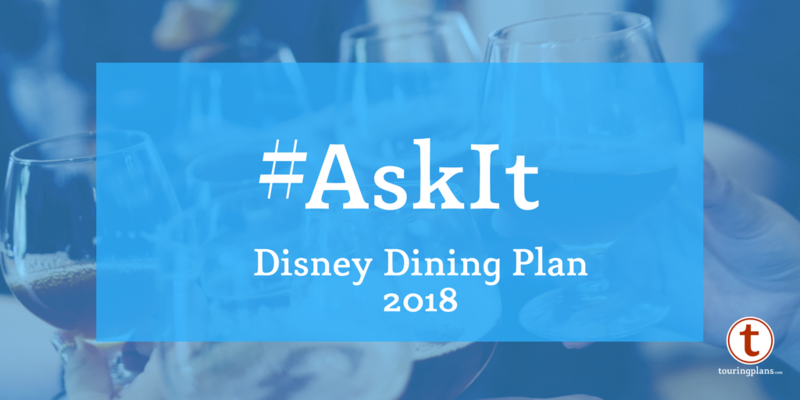 #AskIt: Disney Dining Plan – Now With Alcohol! Thanks for another excellent article! Your posts are always a joy to read: informative, funny, honest. 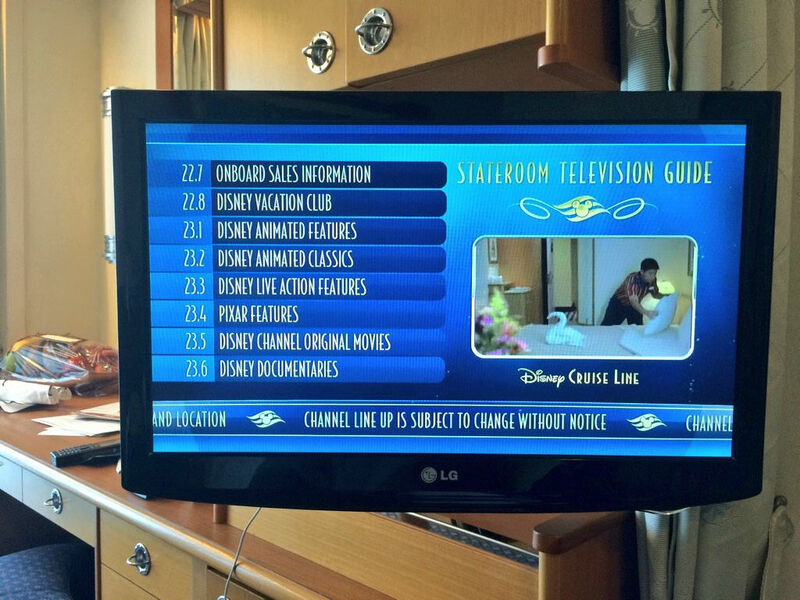 True confession time…I’ve been on a bunch of DCL cruises and have been so busy documenting ship activities and excursions that I have literally never turned in the TV in the room. Now that I see the error of my ways, I’ll be sure to check it out during my next voyage. 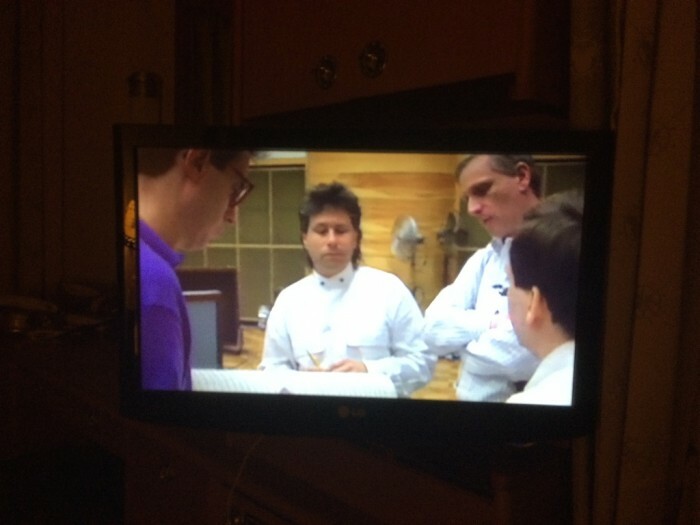 We sailed on the Dream last April and I loved the TV too. But it was because we could call up any and every Disney movie I can ever remember to view for free on our own schedule. I watched several that I missed over the years. It was the only time I’ve enjoyed cruise TV. Great write-up, Derek. Glad to see that you enjoyed it. While each ship has it’s own distinct feel to it, the Dream class and the Magic have even more to be excited about. There is no ‘better’ ship in the fleet, so they must all be experienced. I’ll be awaiting your review of the Magic, Dream, and Fantasy… as well as all associated intermarries. Thank you so much! Your article was a treat to read! My family and I will be sailing on the Wonder in February and you have helped me get excited about our cruise! Last year was our very first cruise ever and it was on the Fantasy which we LOVED!!! Due to cost we’re sailing on the Wonder but I was afraid I’d be disappointed missing the AquaDuck, virtual port holes and more. I know now that we’ll still have a great time and that the Wonder has much for us to appreciate too! Thank you!! Great article! I believe we were on the same cruise. We thoroughly enjoyed ourselves on this cruise. DD and I got our “Disney fix” while DH was not innundated with Disney, but instead had little snippets of it, which made him happy. I do have to disagree about the Pirate night deck party though. We thought it was really fun dancing and watching all the characters and pirates dance as well. My DD was giggling the whole time! The fireworks were definitely a highlight for us as well. Great write up!